I finally did it! I've been wanting this tattoo for such a long time, and my tattoo artist usually has a two year waiting list. He doesn't take walk-ins, doesn't advertise, and only does existing clients, or friends and family of existing clients. Since this was such a small piece for him to do, he squeezed me in between dinner and his next client. I was in and out in less than half an hour. No sketching, no drawing, no stencils, he freehands every piece. Behold, my latest piece! 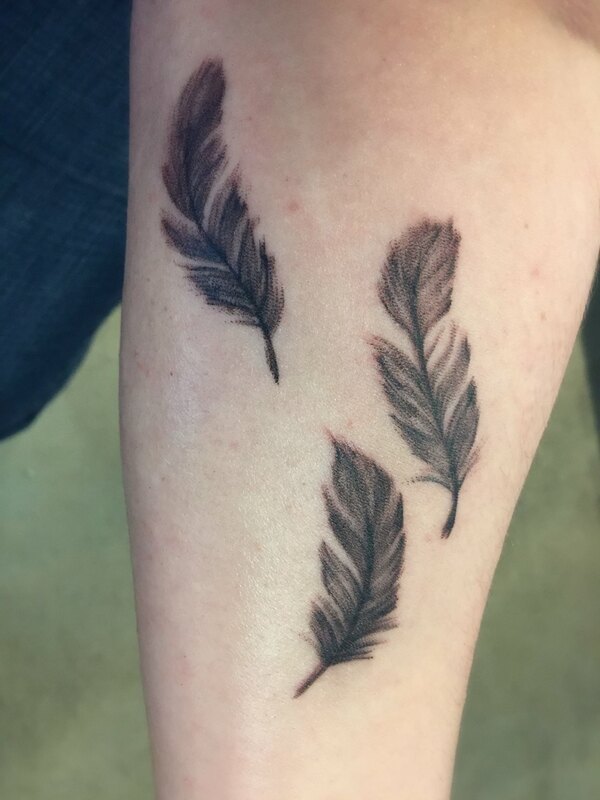 It's the first piece that people can actually SEE on me (While wearing a t-shirt). The other ones are all covered. This one is on my left forearm. Ahahaha! 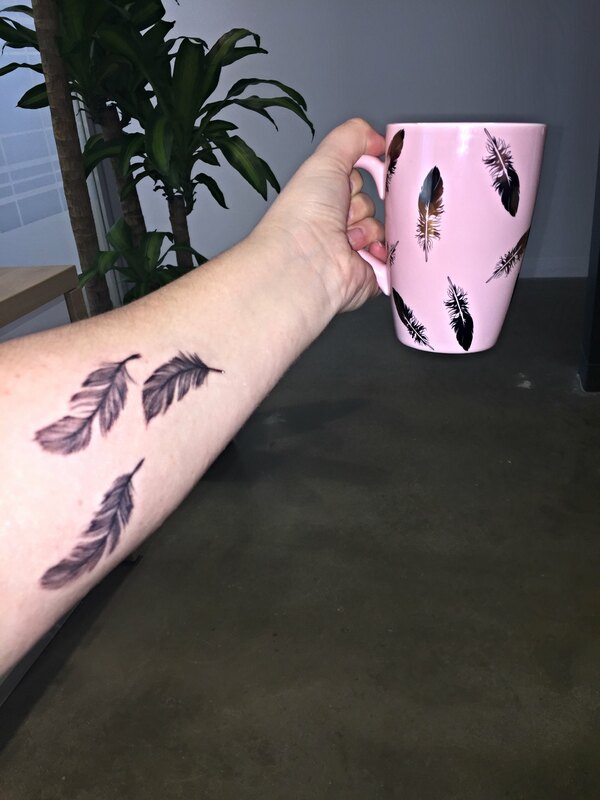 The girls at work just pointed out that I now match my mug. Or my mug matches me.... I haven't decided if I should embrace the matchyness of this, or hold my mug in my other hand. LOL ! Last edited by FaeryBee; 02-17-2017 at 03:05 PM. Your artist is obviously very accomplished! Congratulations on your new body art. Wow, that is a beautiful piece of art, and clearly your tattoo artist is a very talented artist! But where will it be...?Need your advice, guys!